Enjoy Life, I agree with you about Love, it is a very strong word, it carrys power! Nashville Stand Up!!!!!! !We are Kicking It like we are in the ATL This Week!!!!! !We Run This Town Each and EVery Sunday!!!! !Come on out and show support for a great cause The Atlanta Flood Victim Fund.....Special Invited Guest from Nashville's Sports and Entertainment Industries... ...We Got Cosmic Bowling, Dancing, Networking, Dj Sir Swift, Celebs, Models, Full Bar and Kitchen...Did I mention how fun this event is going to be!!!! !.....But Lets Focus Everybody no more talking about helping others this week we want everybody in the city to Stand Up for the flood victims in Atlanta Ga and bring monetary donations to be sent to the Flood Relief Fund at the Red Cross bring whatever you would like to donate in addition to your normal admission fee of $10.00 which covers your shoes and bowling for the entire event....Doors Open @ 7pm-11pm...Come Party with a Purpose!!!! 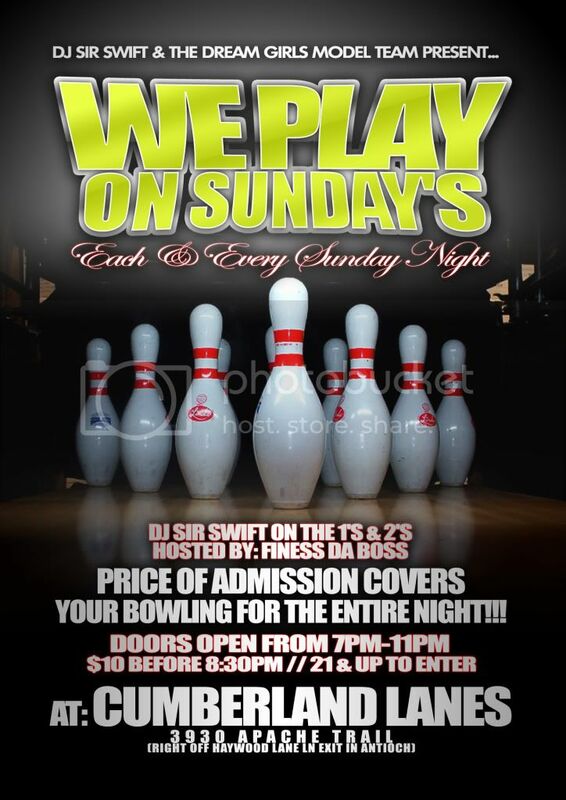 !Come Early to Claim a Lane ....SUNDAY NIGHT BOWLING under The Neon Lights!!!!!!! !This week your admission also covers your entry fee for Extended Play After Party @ Out of Bounds!!!!! Hosted By The Dream Girls..
21 & Up / The Bar and Kitchen will be open all night. 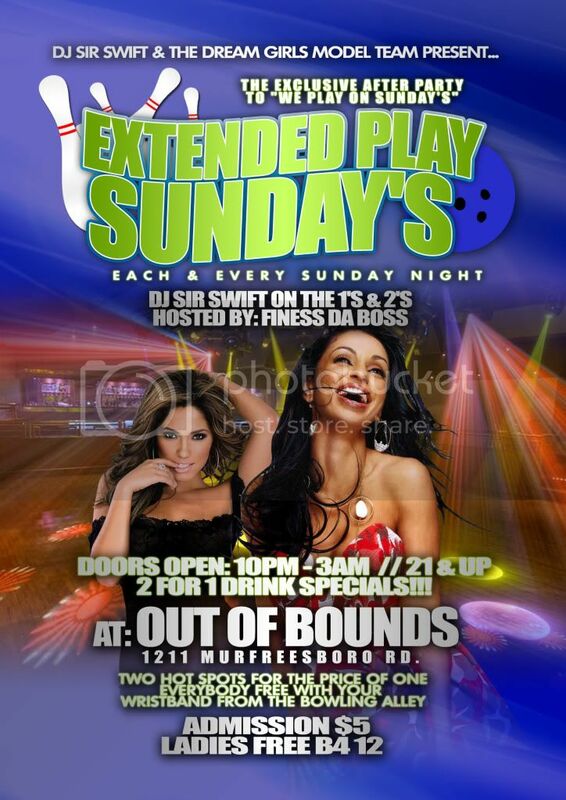 Price of Admission Covers Your Bowling and Shoes for the Entire Event and Admission to Extended Play AfterParty @ Out of Bounds. Admission is $10 Before 8:30 and $12 After 8:30...So get there early and claim a lane.